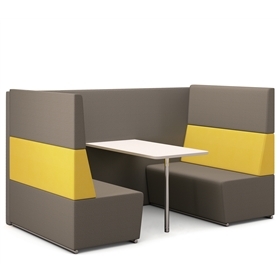 Fifteen is a modular seating system for breakout, reception and creative areas. The original concept of this range began with a 'fifteen' degree concave angle encouraging users to interact closely making discussions a more intimate occasion. UP-CHARGE OF AROUND 10% FOR THAT OPTION.